Expect a lifetime of exhibiting versatility with our 20' hybrid display that's engineered to adapt and change to your evolving market challenges. Our hybrid trade show exhibits blend the strengths of our most popular product lines into a power packed presentation. 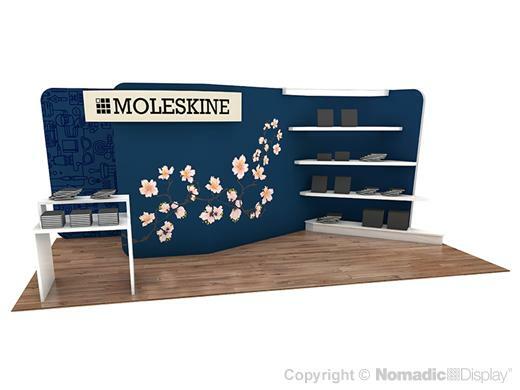 Nomadic hybrid display solutions feature the most sought after accessories including: Product Display, Lockable Storage, Walk-in Storage and Shelving.